Looking for a chance to see the world? This year, NAWBO is offering a chance to do just that—and support women business owners in developing countries. 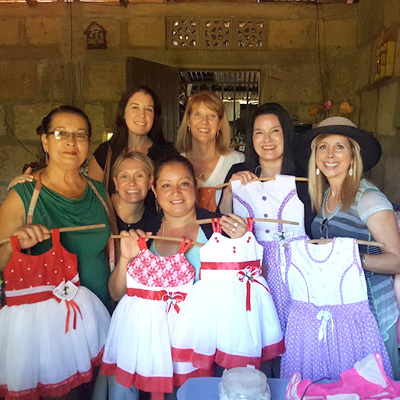 This year’s Opportunity International Insight Trip is taking NAWBO members to Colombia for a week-long exploration of the country’s beauty, culture and inspiring women business owners. Taking place from November 3-9, 2019, participants will travel to Bogota, Cartagena and Islas de Rosario to explore beautiful landscapes and aquatic life. Travelers will also have the chance to visit with women proprietors and students, and learn firsthand about the challenges of extreme poverty that many face. Interested in registering for this year’s trip? Reserve your spot at nawbo-2019.eventbrite.com with a $250 contribution to our program partners. A member of Opportunity International's Insight Trip team will contact you for the remaining balance, which is due 30 days prior to departure. Also, please do not purchase your airline ticket until Opportunity International instructs you to do so. Photo: Members at last year’s trip to Nicaragua.